This class can be used to display data from arrays in HTML tables. It takes an array with header titles and a bi-dimensional array of data to display. The class generates an HTML table displaying the provided data. The presentation of the table is configurable with CSS styles. 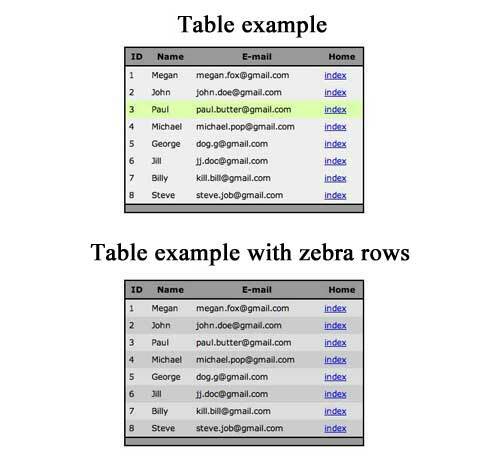 The width of the table columns is also configurable.